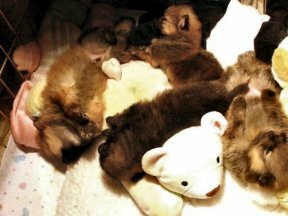 Keepsake Pomeranians are all born in my home just outside Tyler, Texas with hands on assistance at the time of delivery, unless the services of a veterinarian are needed. 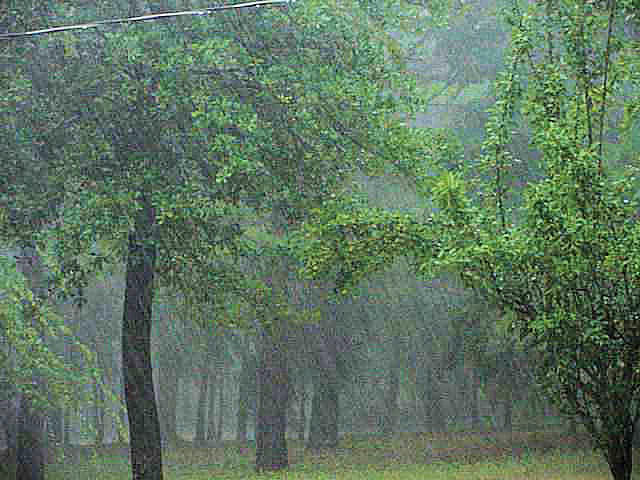 This is a photo of part of the front yard on a rainy day. 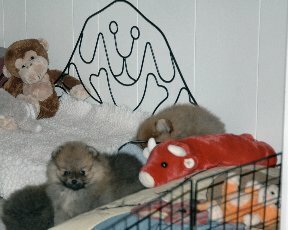 Keepsake Pom puppies remain with their moms for the first few weeks and are handled by us for brief periods each day. During these mini handling sessions puppies are weighed and looked over, just enough to help their sensory experiences along a little. Litters are usually whelped in our family room where the babies remain in a puppy pen with their mom for nearly around the clock surveillance. When the puppies are making their way around and beginning to explore, we remove the whelping box and place a washable medical bed pad on the floor of the puppy pen for good traction under tiny paws. Next we place bedding and toys in with them as this will be home for the next several weeks. 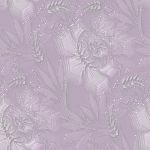 Here they can romp, play and get accustomed to using the potty paper, while hearing the noises of day to day life. * Or do nothing at all, as these puppies are doing! Keepsake Toddler's are free to run the family area or sewing /computer room once they are completely weaned. This is where their social development really gets a boost! Bigger beds and more toys! The playroom is adjacent to the kitchen area and allows us keep a keen ear and eye on the goings on of our little Keepsake darlings. Note: The legs of these beds were cut down to an inch since this picture was taken. A Dutch door divides the girls room from the kitchen/family area. The upper 1/2 of the door is nearly always open. This is where the girls sleep at night. 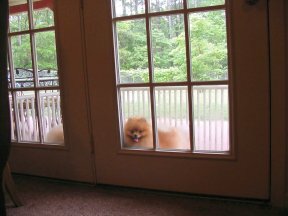 A doggie door is provided and is opened for daytime use in the Spring and early Fall. There is a separate 7' X 12' grooming room off of one end of the playroom complete with a bathing sink and professional sprayer. A powerful blow dryer sits on the left end of the grooming counter, with sprays and tools to the right. A mirror to check my work, completes this space. There's a window overlooking the Pom's yard from the grooming room. This allows me to enjoy watching them from every corner of my eye! When I am extremely busy, they are secured inside and not permitted outdoors unsupervised. 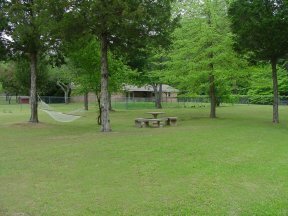 There's a clear view of the play yard from the French doors which lead from the family areas to a covered patio. The little "peeping Tom" at the door is letting me know there are girls inside! A little boy peers in at the GIRLS!! 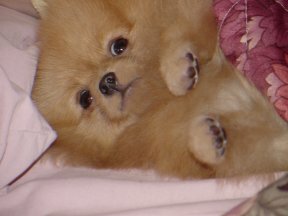 baby Krissy snuggles in bed :) Pomeranians here get time directly underfoot and in the bed. First because they are loved, but also because I want them to make good companions when the time comes to be adopted by a new family. I never like to say good bye to my little fur friends, but out of fairness to them, there comes a time when I must let go. A time to make way for a loving individual or family to offer them the pampering they so deserve, while I turn my attentions to the newest arrivals. On the Fur Fun page you'll find pictures of some of the Pomeranians simply enjoying life around here.